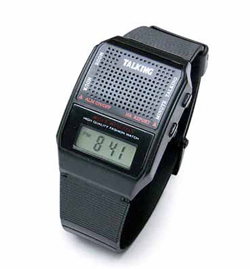 A wrist based watch that can speak the current time with the press of a button. This is a great tool for those that have low vision or are blind who need to know the time to keep appointments and attend other important events. A wireless alert button that is worn by a user to call for assistance from a caregiver who wears the receiving pager. 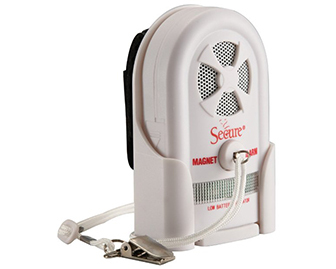 With a range of approximately 500 feet, this gives both people piece of mind that help can always be reached. 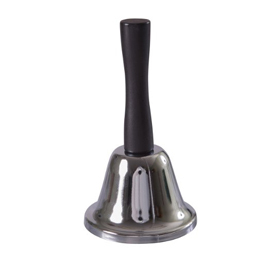 The classic bell that can be shaken to alert nearby caregivers that one needs something. Seen in many movies and cartoons, now you can get one too. Just be careful, if used too often, it may become less effective at summoning help. A battery operated call button that van be pushed by the wearing user to send an alert to a nearby caregiver to ask for assistance. Great for people that are bed bound or unsafe in walking without a caregiver present.